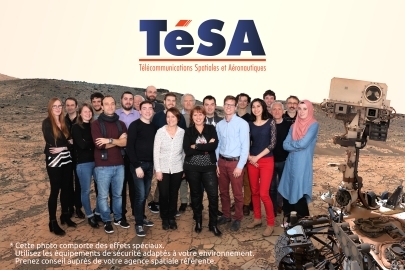 TeSA Team is composed of permanent researchers and administrative staff. A brief description of the team is given below. Serge Fabre received the Eng. degree and the M.Sc. degree in Signal processing from ENSEEIHT, Toulouse, France, both in 1994. He worked for 20 years as an audio signal processing engineer for company such Freescale or Intel in different domain such speech coding, text-to-speech, speech recognition or echo cancellation. Bernard Lacaze is currently with TeSA (Telecommunications for Space and Aeronautics Laboratory). His research activity mainly focuses on regular or irregular sampling of functions and random processes. He has also developed models of propagation based on random delays. Corinne Mailhes is a professor in the University of Toulouse, ENSEEIHT. Her research activity mainly focuses on spectral analysis, biomedical signal processing and more generally, on statistical signal processing. Since November 2013, she is the Director of TeSA. Patrice Michel got his Ph.D. from National Polytechnics Institute of Toulouse in 2004. Since the beginning of his Ph.D., he is sharing his time between the Deodat De Severac high-school where he is a professor and TESA where he acts as a Research Engineer. His research activity is centered around signal processing, with a particular interest in wavelets, subband decomposition, parametric modeling, Kalman filtering etc. Philippe Paimblanc graduated as an electronics engineer from the ENAC (Ecole Nationale de l'Aviation Civile) in 2002 and received the same year his Master research degree in signal processing. He performed a PhD at the satellite navigation lab of the ENAC. His research activity is centered on navigation and positioning, including GNSS and INS signal processing. Jacques Sombrin has engineering degrees from Ecole Polytechnique (Paris, 1969) and Telecom-ParisTech (Paris, 1974). He worked in CNES (French Space Agency) from 1974 to 2010 as a Microwave engineer, head of Microwave department, head of Transmission division and assistant director for Radio Frequency directorate. His research activity in TéSA is mainly on telecommunications and satellite systems. He works on simulation and global optimization (capacity, consumption and cost) of telecommunication systems using multi-beam antennas, non-linear amplifiers, complex modulation signals, equalization, pre-distortion and interference mitigation. He studies high power RF breakdown phenomenons (Multipactor, Corona) and passive inter-modulation products. 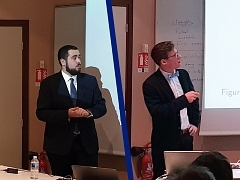 Since 2013, he is also responsible for the "Integrated and Secure Systems" chair of Sigma-Lim Labex at Limoges University. Isabelle Vasseur welcomes visitors to TeSA and manages all the administrative part of the laboratory. In close collaboration with Corinne Mailhes, she is responsible for staff management and organizes the missions of all members of TeSA.